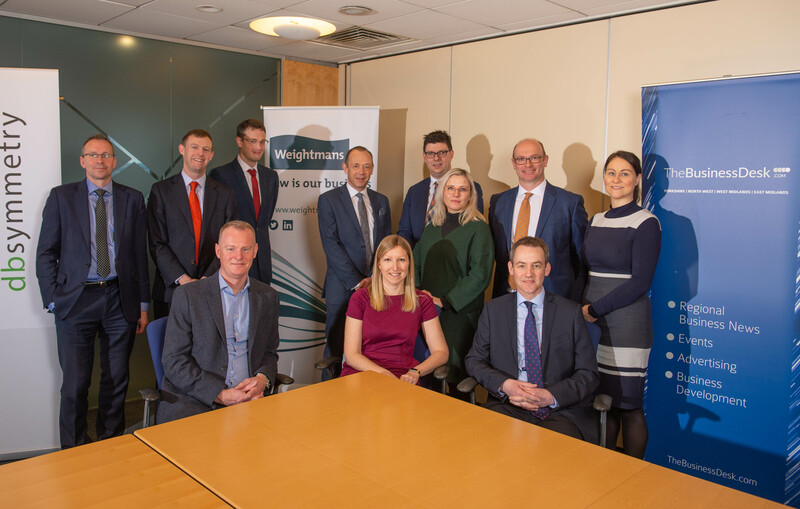 TheBusinessDesk.com's Leeds City Region insight week, sponsored by Weightmans and DB Symmetry, explores the opportunities and challenges across the city region, as well as the work being done to ensure continued success. Topics include transport, inward investment, skills and inclusive growth. The week of coverage share views exchanged at a roundtable which was chaired by Kayley Worsley, Yorkshire editor at ThebusinessDesk.com. Participants were Dr Martin Stow, Chairman and Director at University of Leeds Nexus; Ben Still, Managing Director, Leeds City Region Local Enterprise Partnership; Charles Johnson, Head of Planning Development, Leeds Bradford Airport; Angela Barnicle, Chief Officer – Asset Management and Regeneration, Leeds City Council; Justine Shaw, People and Culture Director, CPP Group; Henri Murison, Director, Northern Powerhouse Partnership; Nick Quin, Public Affairs Manager, Yorkshire Building Society; Stephen Johns, Partner, Weightmans; James Sargent, Partner, Weightmans; Andrew Dickman, Director, DB Symmetry.